We will email you a complete proposal package & product pricing. Our dedicated account teams are available to work with you. Simply fill in your information on the form below. Our contracts are very simple and allow you to lock in aggressive product pricing for an extended period of time. 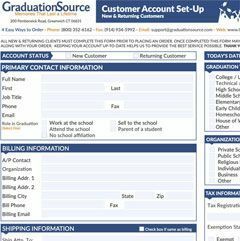 The way it works is you simply fill out the form to the right and one of our Graduation Guides will contact you to finalize the details. Each year when you go to place your order you'll be guaranteed the contract pricing you've locked in. This is a huge opportunity to put more money back into your graduation budget. Once you have received your quote we ask that you share the information with your colleagues. Along with your quote we will email you the required ordering material to place your order. The next step is to turn your quote into a formal order. Typically most customers will do this right away as it reserves inventory for your upcoming ceremony. 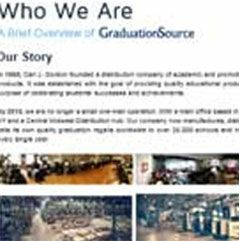 What if I'm in a contract with another supplier? If you're already stuck in a bind and would like assistance figuring out what direction to take please feel free to call us at (800) 352-6162. 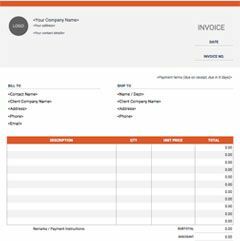 We can sign you up with contract pricing and push the date out to the date in which your current contract is set to expire with your current supplier. Do you offer contract pricing for all products? YYes, absolutely! 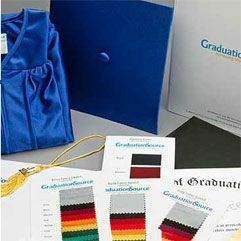 While our standard and early bird contracts generally exclude customized goods, we are able to draft custom contracts specific to your school's needs. We also even offer contract pricing for our Student Ordering Portals. Do you offer quantity discounted pricing? Yes, we offer quantity discounted pricing. Please fill in your information on the form to the right and we will email you a custom catered quote based on the information you provide. Does filling out a contract request bind me to order with you? No of course not. This form is only used to obtain contract pricing for the packages you are looking to order. There is no obligation to order.